Continuing our series of Holiday Buyer’s Guides, today we’ll be taking a look at desktop video cards. Cyber Monday kicks off today, and while video cards neither have the margins to allow deep discount sales nor the popularity to be doorbusters, that doesn’t mean there won’t be some good offers out there for gamers gearing up for 2014. At this point AMD and NVIDIA have (to the best of our knowledge) completed their 2013 product rollouts, so for current generation products everything looks to have settled in place. NVIDIA for their part is continuing to offer the GeForce 700 series above $200 and the GeForce 600 series below $200, though the distinction is largely branding since so many of the GPUs are the same. Meanwhile AMD just finished launching a boatload of Radeon 200 series products from the high end all the way budget market, releasing a mix of products with both new GPUs (Hawaii) and reused GPUs (Tahiti, Pitcairn, Bonaire). The outgoing 7000 series is formally being phased out, but there is still a good amount of existing stock that needs to be sold before those cards fully dry up. Meanwhile choosing from those lineups can be difficult or extremely easy depending on whether you’re buying on performance or price. Between the large number of official SKUs each GPU vendor offers and the even larger number of custom and factory overclocked cards their partners offer, there’s essentially a faster video card every $10 or so up to $400. So for buyers on a fixed budget it pretty much comes down to buying the SKU/video card you can afford, selecting among the various models available at that tier, while those buyers working from performance will find that there’s always a bit more performance to be found if they just open their wallets a bit wider. For performance based purchasing, we’ve put together a small table laying out the different performance bands, and roughly how much you would need to spend to buy a video card that offers enough performance to reach that band. In general, high quality 1080p gaming will start at $199; going above that will find cards that are good for 1440p, 4K, and multi-monitor, while going below that will find cards that will require some quality sacrifices to stay at 1080p. With that in mind, the “sweet spot” at the low end will stand at around $140 or so. $140 is enough to purchase a 2GB card like the Radeon R7 260X or GeForce GTX 650 Ti Boost, both of which offer a reasonable level of rendering performance while packing enough VRAM to have some legs. The new generation consoles are going to put additional pressure on PC video cards now that developers can use higher quality assets, so it’s beneficial to have enough VRAM to keep up. Although it’s technically being discontinued, right now there appears to be no shortage of AMD Radeon HD 7770 cards, so for the budget market where every penny counts, this is unquestionably the sweet spot. At $99 the 7770 is going to outperform any other AMD or NVIDIA card at similar prices, making it the fastest thing at this price. From a performance the 7770 isn’t going to quite hit the sweet spot we outlined earlier, but for those gamers on a strict budget it will get the job done. In the long run it should be able to run most games even at 1080p with medium-to-low settings, along with keeping texture quality down a notch to account for its 1GB of VRAM. Battlefield, GRID 2, and even Total War: Rome 2 can easily hum along on this card at decent settings at 1080p. As an added kicker, the 7770 is the lowest tier card to qualify for AMD’s Never Settle Forever program, coming in at the bronze tier. This means the card comes with an offer for one free game, selectable from AMD’s current set of 5 games in that tier. 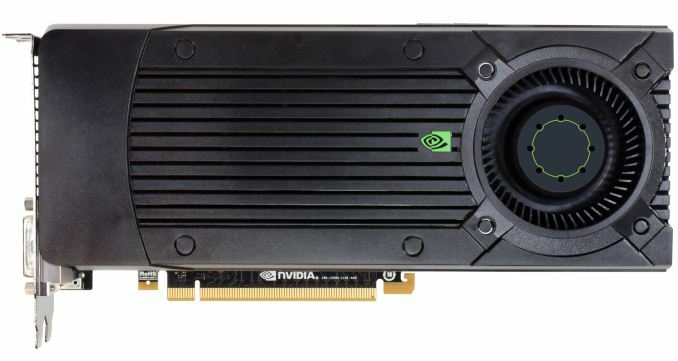 When it comes to a relatively cheap card with legs to last, the 2GB variant of NVIDIA’s GeForce GTX 650 Ti Boost is the card to have right now. From a performance standpoint it’s not going to be able to play every game at 1080p at high settings, but it will be fast enough for medium-to-high depending on the game, which will be a notch or two higher than what the $99 cards can do. Meanwhile the 2GB of VRAM will mean that future games shouldn’t bog down the card quite as badly; higher graphical fidelity games will slow it down like any other card, but there’s enough VRAM to keep up with the demands of higher resolution textures and heavier use of intermediate buffers. Meanwhile most GTX 650 Ti Boost cards will be eligible for NVIDIA’s lowest tier bundle program, their $75 Free-To-Play credit bundle. This breaks down to $25 in in-game credit for Warframe, Neverwinter, and Marvel Heroes. Briefly, though our nod goes to NVIDIA’s GeForce GTX 650 Ti Boost, AMD is going to be very competitive here with their Radeon R7 260X. The 260X is a bit slower (and hence our nod for the GeForce card), but it does come with a stronger bundle, AMD’s silver tier, which is good for two games, one of which will be the forthcoming Thief. Moving up our product lists, at $199 we’re finally up to cards that are fast enough to play most games at 1080p with high-to-ultra settings. More powerful/expensive cards will offer a further edge for the most demanding games, along with offering a bit more longevity, but for most games at the extremely common resolution of 1080p, it only takes $199 to hit a great level of graphical fidelity for that resolution. 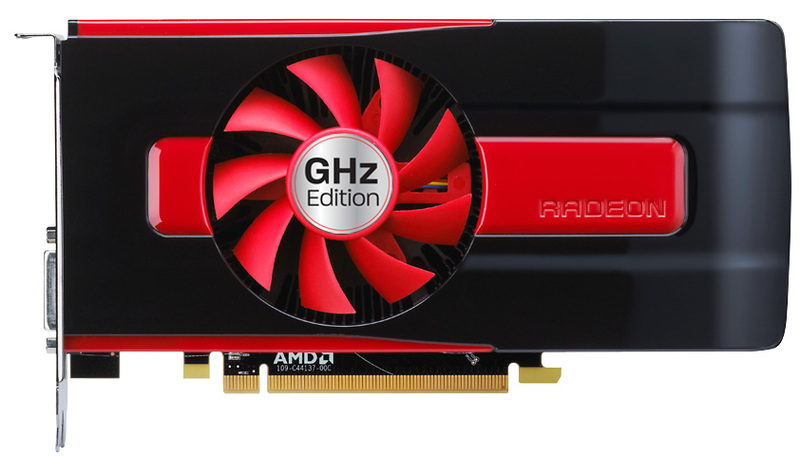 To that end there is no better card at this price than AMD’s recently released Radeon R9 270X. Based on a fully enabled Pitcairn GPU, 270X easily offers the most bang for the buck, keeping its distance from NVIDIA’s sub-$200 competition while getting rather close to NVIDIA’s more expensive GeForce GTX 760. Buyers looking for bundled games will come up disappointed however. The only cards participating in AMD’s bungled Battlefield 4 promotion carry a price premium, assuming of course you can find one at all. 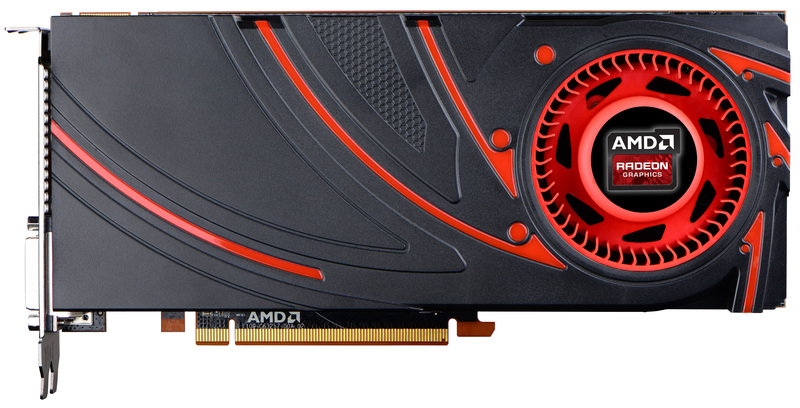 Runner Up: AMD Radeon R9 270: Briefly, AMD’s lower tier R9 270 card makes for a good runner up here. The performance is still strong, but more importantly 270 is AMD’s top 150W card, for those gamers looking for something that will work with a limited capability PSU. Asus’s 270 DCUII OC absolutely floored us here in recent testing, producing next to no noise. Starting at $299 things get a bit murkier due to the fact that AMD and NVIDIA are not directly competing with each other. AMD offers their Radeon R9 280X right at $299, but NVIDIA charges about $30 for their GeForce GTX 770. The GTX 770 in turn is the faster card, but the performance is close enough that the two really are in the same performance band. So to that end the 280X gains more from a lower price than it loses in performance. For the 280X we’re looking at a card that will straddle 1080p and 1440p. It’s not quite fast enough to work in every game at 1440p with high quality settings, but it’s fast enough for many of them. Alternatively, it’s fast enough at 1080p that it has no problem at that resolution with everything cranked up, including high levels of MSAA and even SSAA in some games. Plus the 3GB of VRAM will give it some leg room if future games demand more VRAM. The only real downside to this card right now is that gamers are going to have to compete with crypto coin miners to get one, as the recent run-up of cryto coin prices has induced a bit of tulip mania that has led to 280X cards being snatched up due to their combination of high performance and low prices. Unless this abates in the next couple of weeks, the runner-up GTX 770 may be the only thing actually available at this performance band. For gamers who want to top-tier performance without completely breaking the bank, AMD’s Radeon R9 290 is easily going to be the card of choice. Offering performance that rivals the more expensive R9 290X and GeForce GTX 780, the 290 is unparalleled in performance for its price. At this level of performance it should be able to run virtually anything at 1440p with high-to-extreme settings, and 1080p gamers should have no trouble hitting 120fps in anything that isn’t CPU limited to begin with. The one downside to the 290 is of course its noise. The 290 is abnormally fast, but faced with dissipating 300W of heat it’s also abnormally loud. For gamers who are going to be concerned with noise, the 290 will likely be uncomfortably loud. The GeForce GTX 780 doesn’t offer anything in additional performance over the 290, however that $100 price difference buys a lower power consumption card with a much better cooler. $499 gets access to NVIDIA’s amazing metal cooler, which in our tests is enough to keep noise levels under 50dB. 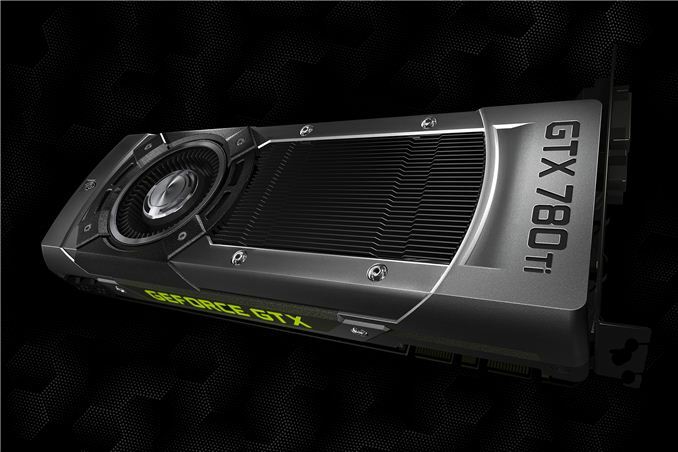 For gamers looking for a balance between performance and noise, the GTX 780 is a star. Meanwhile for gamers looking at open air coolers, GTX 780 cards with alternative coolers such as EVGA’s ACX cooler will find that the GTX 780 can be even quieter for the usual tradeoff between a blower and an open air cooler. As an added kicker, the GTX 780 also comes with NVIDIA’s highest tier holiday bundle, which includes Assassin’s Creed IV, Batman: Arkham Origins, and Splinter Cell: Blacklist. For the fastest single-GPU card on the market, NVIDIA’s top tier GK110 part, GeForce GTX 780 Ti, stands alone. The performance advantage over the Radeon R9 290X (or even the 290 for that matter) is not great, but there’s admittedly nothing new about paying a notable price premium for the very best card. Though the 290X doesn’t make a ton of sense on its own in light of the cheap R9 290 or the quiet GTX 780, if we want to move into 4K gaming and the extreme load it presents, a pair of 290Xs becomes a very tantalizing option. Thanks to AMD’s new XDMA engine the 290X has no problem scaling up to 4K in Crossfire, taking AMD’s decent single-card 4K performance and scaling it up to something that allows for 4K without the quality compromises. Considering 60Hz 4K monitors still run for $3000+, it doesn’t make any sense not to pair such an expensive monitor with anything less than a pair of 290Xs. Meanwhile the GTX 780 Ti in SLI is going to be a viable alternative here, but NVIDIA doesn’t offer much of an incentive. The total price tag is $300 more for roughly identical performance (and a bit less VRAM), with the only meaningful difference being a bit less noise and a bit less power consumption. This still puts the price of the video cards at less than half of the monitor – so really it may as well be down to buyer preference – but there’s certainly no performance incentive to spend the additional money. AMD cheaped out on the cooler to undercut Nvidia on price/performance. The silicon isn't overclocked. AMD's cooler is just noisy. No, the cooler is the problem. If you stick a decent aftermarket cooler like an Arctic Accelero Xtreme III on the R9-290, performance levels go up while noise goes way down to reasonable levels. Even the power consumption goes down slightly without the chip running at 95C all the time. Like you... I hope AMD is paying attention.. but they can't really be faulted here. It's been a common practice for both companies with their reference design coolers right up until the release of the Titan. Thing is.. these reference designs have a tendency to stick around thru-out the life of a product... so it's a smart idea to put something special together in the cooling section incase the consumer happens to get one of those cards after partners start churning out their own cooling solutions. Dell just announced a pro-grade 4K monitor for $1399, with a consumer-grade variant to come soon after that for under $1000. And although no pricing has been announced yet, Asus and Planar have monitors in the pipeline based on the same 4K panel Seiki uses in their $500 TVs.